Australia gets theirs in the fall. A download title with over a 10% attach rate? Believe it. In addition to the New Nintendo 2DS XL, Nintendo's shareholder briefing gave news on game sales and future company plans. Hey! Pikmin is not coming alone. 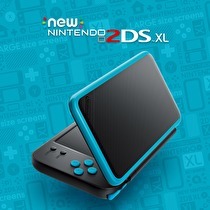 Nintendo has introduced a new form factor for the 3DS family that keeps the clam, but loses the 3D. The New Nintendo 2DS XL (2DS LL in Japan) will launch on July 28 in North America for US$149.99/C$199.99, and on July 13 in Japan for ¥14980. Both territories will have two launch games: Hey! Pikmin and Miitopia (North America)/Ever Oasis (Japan). Firing shells in the streets, dropping blocks in the sheets. There's two big releases for all territories this week as the Switch's multiplayer goes from 0 to ludicrous speed. Mario Kart 8 Deluxe and Puyo Puyo Tetris both hit the eShop shelves (with Mario Kart waiting until tomorrow), and we have reviews for both from Neal (MK8 Deluxe) and Daan (8 Deluxe, Puyo Puyo). Be sure to check them both out, and I'll see you at the combination Puyo Puyo and Tetris board. One of the company's stalwarts will hang up the toolkit in June. One of the chief architects of Nintendo's rise to video game prominence has announced his retirement after more than 45 years with the company. The Switch:Wii U sales ratio is about 4:1 in favor of the new. Nintendo has given their financial results for the fiscal year ended March 31, and appears to be riding a wave of momentum following the 1-2 punch of Pokémon Go-fueled 3DS sales and the successful Switch launch. The company isn't as bullish on Switch projections as some had hoped, but it would still be a great first full year if they can get close to their projected number. There might have been some stability thrown in there as well. Super Bomberman R has received a major mechanical overhaul in an update now live on the eShop. The update has increased the framerate for multiplayer including online, as well as improved the netcode and control latency improvements. The characters now move in traditional Bomberman fashion as well, sticking to the grid. An expanded top 20 greets the Switch launch. Following Nintendo's announcement last week about the first month of Switch sales, the NPD Group has released their official survey to put Nintendo's numbers in context. This week's column is only technically legal in eight US states and soon Canada. There's a little bit of calm before next week's Switch storm for North America, with the honor of the big release of the week falling to Wonder Boy: The Dragon's Trap. Check out Neal's review from earlier this week to see if the throwback action will be up your alley, then listen to this handy Retronauts episode that tries to explain the relationship between Wonder Boy, Monster Boy and Adventure Island. As one would expect, it goes poorly. Quite a bit larger than the Wii U. Details about the upcoming Switch version of Minecraft were announced on a livestream yesterday, and they will give Wii U veterans a lot more room to work. Switch owners won't be the only ones who get to try the high-impact adventure. The Specter of Torment is about to hang over older versions of Shovel Knight. Updates will be sent out for the Wii U version of Shovel Knight on April 21 and the 3DS version on April 25 to add the Specter of Torment expansion. The price of the game on the respective eShop will be increasing at the same time to reflect the new content. So much smoke it's turning the test units yellow. The NES Classic Mini may have had to die so a SNES Classic may live, according to Eurogamer. According to sources, the SNES Mini would come out in a similar timeslot to the NES Classic last year, and would include preinstalled games as well. The nature of the bundled games was not discussed. Development of the SNES unit would likely be handled by Nintendo European Research & Development ("NERD") and is reportedly already underway. Scope out the full title. The professor may be retired, but his daughter will pick up the slack for all this fall. Previously known as "Lady Layton", the sequel will launch in North America and Europe as Layton’s Mystery Journey: Katrielle and The Millionaires’ Conspiracy. The mobile version will launch worldwide with the release of the 3DS game in Japan on July 20, while the 3DS version will release in the west this fall. The Switch lineup keeps rolling along. One of the Nintendo Indie Showcase's more intriguing announcements will be out on the Switch early next month. How "temporary" this suspension is, we don't know. 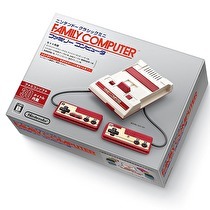 The NES Classic is discontinued around the world, but there still may be hope for the Famicom Mini in Japan. An update on the Japanese website for the pocket console has announced that production on the unit has been temporarily suspended. The site will update if / when it goes back into production. And a 1.02 attach rate for Breath of the Wild. An early release from the NPD Group has cemented the Switch as the fastest selling hardware for Nintendo in the United States in company history. The public report will be available next week, but Nintendo has confirmed that in its first 30 days of sale in the US (March 3 to April 1) the Switch sold 906,000 units. A full worldwide accounting of the Switch's sales will be available April 27 with Nintendo's year end financials. May the restock gods be with you. An upcoming shipment of the NES Classic to North America may be the system's last. Nintendo confirmed the discontinuation in a statement to IGN today, and that final shipments would be sent to retail in Nintendo of America territories throughout April. Uh oh, left nut kick I'm sore? Yesterday's Nintendo Direct put a charge into the lineup for all territories, but especially North America. It was already looking to be a busy week with Mr. Shifty and The Jackbox Party Pack 3 launching, but throw in a free-to-start version of the Robobobobobobo(etc)t minigame Team Kirby Clash and a farewell to BoxBoy on top of it for us. So much for that Twitter joke. HD Rumble is about to be put to its weirdest use yet as Senran Kagura is coming to the Switch. Series produced Kenichiro Takaki showed an early concept for Senran Kagura Refure in the Japanese Nintendo Direct video, which will support HD Rumble to achieve the series's trademark aesthetic. No release date was given for the game. THQ Nordic will have two Switch titles hitting this summer. Sine Mora EX is an expanded version of the horizontal shooter with time elements, with both arcade and story mode gameplay that can be played either in single player or co-op. It will release this summer for $19.99 US/€19.99.